This is a question from a site visitor who was wanting to know how to wire a specific 3-way configuration. The twist comes with the addition of a new duplex receptacle which he wanted to keep ‘hot’ all of the time, while still controlling a light with the 3-way switch. This article describes the possibilities of this scenario and the steps to take. Q: How do you wire a new duplex receptacle from a 3-way switch so that the new receptacle is always hot and the 3-way switch continues to only control the light fixture? A: You may not be able to accomplish this, depending on how this 3-way circuit is wired. The only way this will work properly is if the power source for this 3-way network enters this box first. If not, you might have switched ‘hot’ conductors only, or if you do have a neutral, any of the hot conductors that you attempt to splice in to will not be hot all the time (it will depend on the switch positions). You need to determine how the circuit is wired. If the power source does enter this box, then you could add a receptacle providing the box is large enough (deep box) to accommodate these additional wires because a normal sized metal switch box can only have 5 wires in it, and you will add two making a total of seven. Here is a diagram of how this receptacle could be added in the proper circumstance. Confused by the 3-way switch? 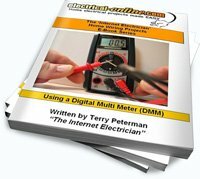 Terry Peterman, the ‘Internet Electrician’ provides a visual explanation of the basic 3-way switch in this short, informative video. Click here to view. This entry was posted in Indoor Wiring Diagrams, Switches and tagged 3-way, 3-way switch, box, diagram, do-it-yourself, duplex receptacle, hot receptacle, house wiring, how to wire a 3-way switch, light, light fixture, wiring, wiring diagram. Bookmark the permalink.